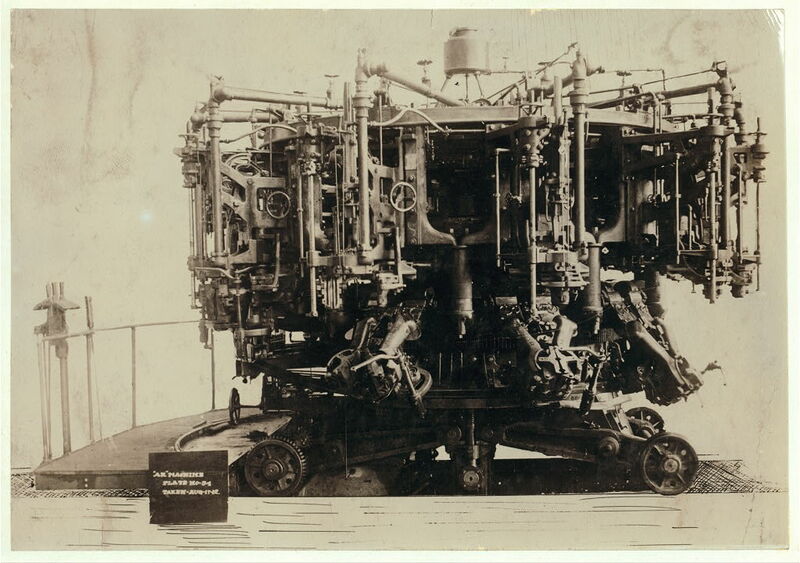 Arkady is crouched under his desk, on which sits a complex manufacturing machine. Hearing a noise, he hops back onto his chair and begins diligently passing a thin metal sheet through the machine’s hulking, loud, shuddering press. Jenkins Du Point enters, holding a small, complicated contraption. Arkady stops his work and allows the press to stall. He looks up at Du Point, who gestures with the contraption. This isn’t good enough. Not by half. You’ve done an ineffectual job. You’ve stacked it. You’ve started badly and it’s gotten worse from there. This is inferior. It’s below parr. Unfit for purpose. Unfit even for an example of poor workmanship. It’s eye-watering how wrong you’ve got it. It’s spellbinding the gulf you’ve traversed from what one would consider an adequate job to this monstrosity you’ve produced. It’s quite easily the most pitiful effort I’ve ever seen. You’ve a long and difficult road ahead of you and you can’t backpedal far enough. The opposite of this would’ve been a closer stab. The exact opposite. It’s the paradigm of a damp squib. It’s a festival of failures. It’s atrocious. It’s offended me, it’s affronted the very reason I started this company, and if I so much as described this aberration to the board it would corrupt their heretofore unshakable commitment to what we’re aiming to achieve. It would take longer to list all the faults in this thing than it took for you to make it. It’s a crime against quality. It’s so bad it feels like an ideological gesture. I shudder to imagine the kind of the inane, profoundly wrong-headed thoughts that passed through your skull as you were constructing this. It’s perverse. We’re going to burn it and pray that our minds over time allow us to forget this horror show ever happened. It is ill-conceived. Do you understand? Du Point drops the contraption onto Arkady’s desk and exits. Arkady looks at the contraption. He looks off after Du Point. Convinced Du Point has left, Arkady drags a baseplate, covered in a sheet, from under his desk. He removes the sheet and, with a bit of tinkering, slots the contraption into the core of the baseplate. After a moment, the baseplate hums to life. Arkady stands up, looks at it. He places one foot, then the next, onto the baseplate. After a short moment, he begins to levitate.